Q: Many hospitals, asylums, and institutions seem to have haunting activity. Why do you think that is? Why these places? Estep: Hospitals and mental care facilities are all emotional powder-kegs in one way or another. The average community hospital has the joy of childbirth going on in one part of the building, while in another you have patients breathing their last. In between are those suffering from long-term illnesses and the full spectrum of afflictions both physical and mental. Wherever one sees strong emotions, it seems inevitable that one also encounters ghosts. Q: The phenomenon seems to be worldwide, doesn’t it? Estep: It does seem to be a universal phenomenon. All societies have their places of healing, and a great many of those places have their ghosts. Q: Many paranormal investigations of these facilities understandably take place when they are no longer in operation. In your research, have you found that such places are more likely to be haunted after they have been closed or abandoned? Or are they just as active when in use? Estep: It's easier to conduct a thorough investigation after the facility is closed and abandoned. However, there are more potential eyewitnesses when the building is still operational, so it's very much a mixed bag. A great case in point is the ghostly nurse who haunts a major London hospital. Generations of doctors, nurses, and staff have encountered her in the hallways over the years, going back beyond the bomb damage inflicted during the Second World War. If the hospital were abandoned, would she still be making her rounds without there being people to interact with? It's an interesting question. Q: Are nurses and doctors reluctant to talk about paranormal activity they have witnessed? From what we’ve seen in the stories we’ve received over the years, nurses are more forthcoming, true? Estep: Hospital administrators are generally reluctant for ghost stories to be made public, something which I quite understand: a hospital is, after all, supposed to be a place of healing and recuperation, and tales of paranormal activity would be more likely to hinder rather than help that process. But a surprising number of medical providers themselves are entirely willing to discuss their inexplicable experiences. I've found this to be particularly true of those who are working in the field of palliative and end-of-life care, who are constantly in the presence of death and dying. The majority of physicians, nurses, and EMTs have a grounding in the biological sciences and aren't given to flights of fancy, which makes many of them credible witnesses. Q: As most students of the paranormal know, hauntings can generally be categorized as residual hauntings – like recordings on the environment – or intelligent hauntings, where these spirit seems to be aware and can even communicate with the living. Do you have a sense whether one or the other is more common in these institutions? Estep: It's a fairly even mix. With regard to the residual aspects, the sounds of a hospital in operation (gurney wheels squeaking on the floors, the sounds of doctors and nurses talking to one another, medical equipment functioning) is fairly common, and might be explained away quite easily as a form of "atmospheric tape recording," the mechanism of which we do not fully understand yet. 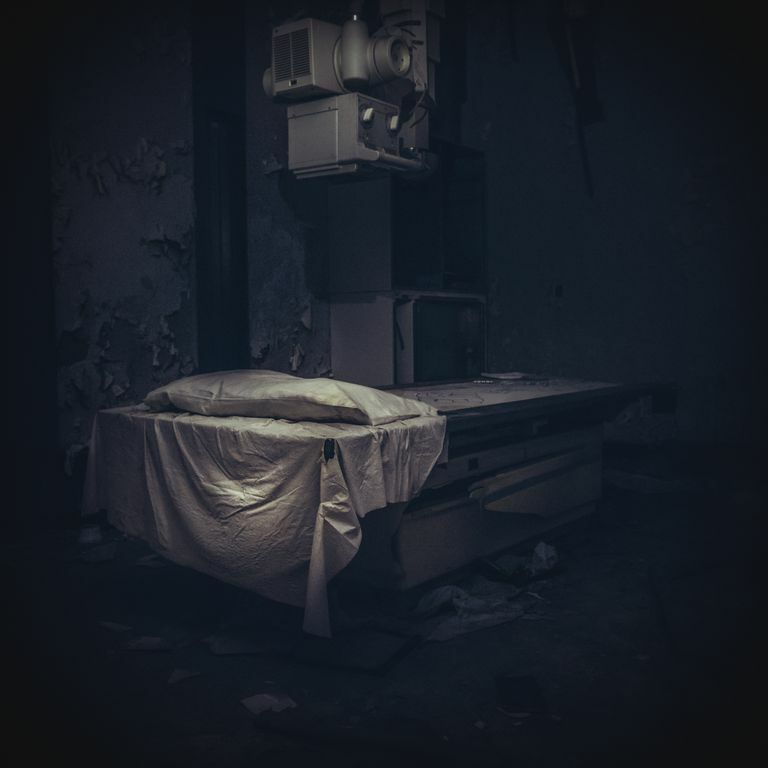 The intelligent hauntings, on the other hand, tend to be indicative of patients or staff who had a strong attachment to the institution during its lifetime, and a certain component of them either returns on a regular basis or has never left. Q: As a paramedic, yourself, have you had any personal paranormal experiences in relation to that job? Estep: I have not, surprisingly enough. Q: Do you have a favorite story from your book that you can describe briefly? Estep: My favorite case is most likely that of the old Tooele Valley Hospital in Utah, which is now a Halloween haunted house attraction named Asylum 49. I investigated the hospital while I was researching The World's Most Haunted Hospitals and was so impressed by the facility that I ended up going back and moving in there for a week over the Halloween season of 2015, investigating the haunting while the building had thousands of visitors coming through and supplying their own energy. It was such a paranormally active location that it has occasioned a book all to itself, which will be released in the fall of this year. Asylum 49 has numerous ghosts, both intelligent and residual, and some of them are rather violent and threatening; others are benign and friendly. After twenty years of investigating the paranormal, I witnessed what may well have been my first ever apparition in the building, in the form of a young girl wearing a period dress. Richard Estep is also the author of: In Search of the Paranormal; Haunted Longmont; Agonal Breath: The Deadseer Chronicles; The Beast of Mysore; and Goddess of the Dead.